Thanks to the fabulous running community on Twitter I’ve been reminded that it’s less than 10 weeks until the Berlin Marathon! 10 weeks though! Seriously, where has the time gone?! I’m already at that ‘can’t stop thinking about it marathon stage’ and constantly drifting off into day dreams of running a 3.15 marathon (yeah right, Han!) and I’m not ashamed to say I’ve already planned the outfit I’m flying in! God help whoever has to put up with me for the next 10 weeks, I apologise now. As you may have spotted from a previous a post, I’ve been in Italy on a bit of a tour across the country. 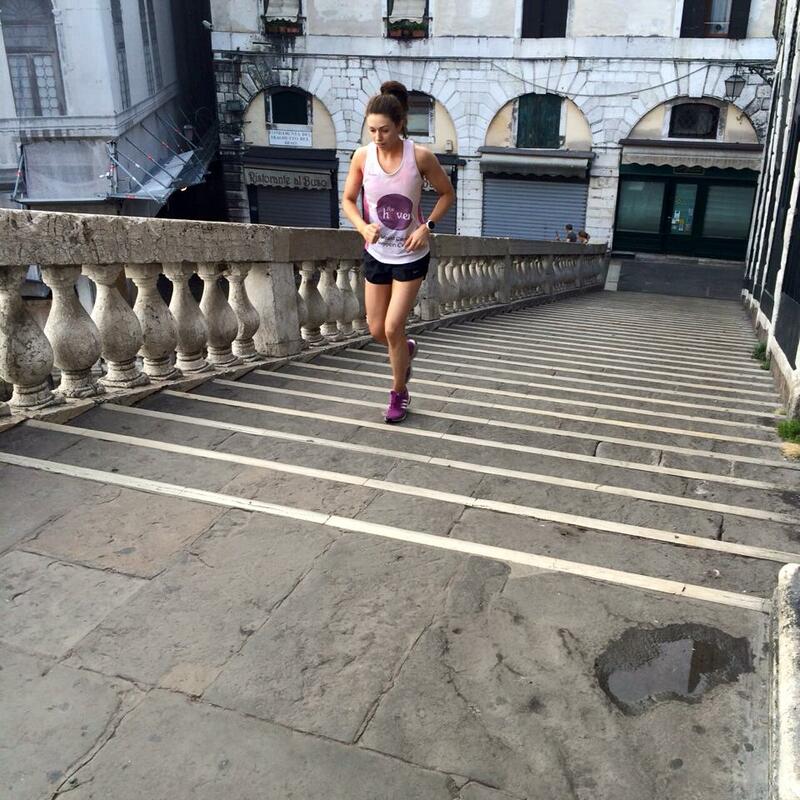 When we booked the holiday I knew I wouldn’t be following my set marathon training plan for a number of reasons; 1) there’s gelato to be eaten 2) the heat and 3) I booked a holiday to relax, sightsee and have a break. So with that accepted I settled on trying to get a few runs and some bodyweight exercises in now and again, it is part of my happy pace after all! Still, it was hard not running. I worried about getting behind, worried about the extra pizza weighing me down and worried that I ‘d be too unfit to get back on track. The reality is that it’s two weeks and I actually exercised most days. 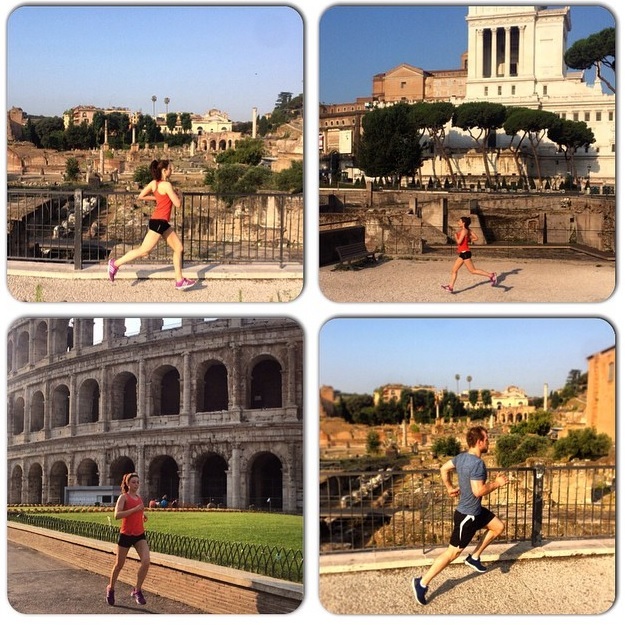 Granted most days it was walking but when sightseeing in Venice and Rome we averaged 8 miles of walking a day! 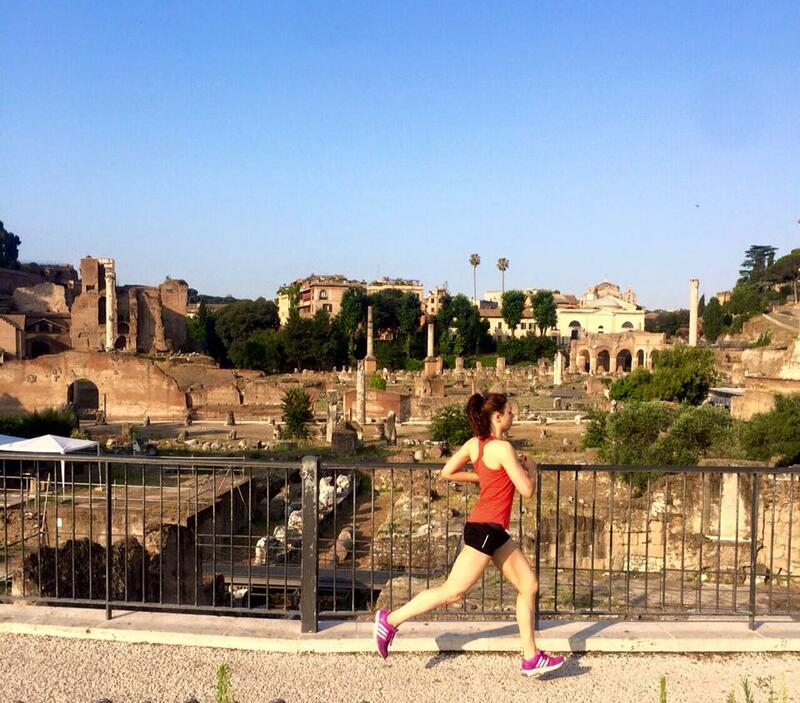 Never forget to pack your Garmin on holiday, even if you’re not going to be running! 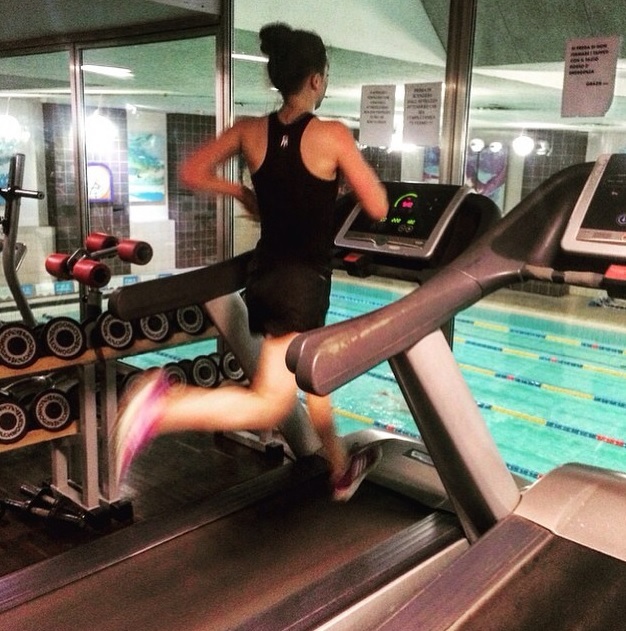 If you’ve got an autumn marathon booked and a holiday coming up as well then check out these tips on how to maintain a training routine while away. Sightseeing – Grab a guidebook and go on a walking tour. Lonely Planet books are amazing for this. Not only will you see the sights and plenty of hidden gems along the way but you’ll also be banking some miles in the legs. Think of it as another version of steady state cardio. 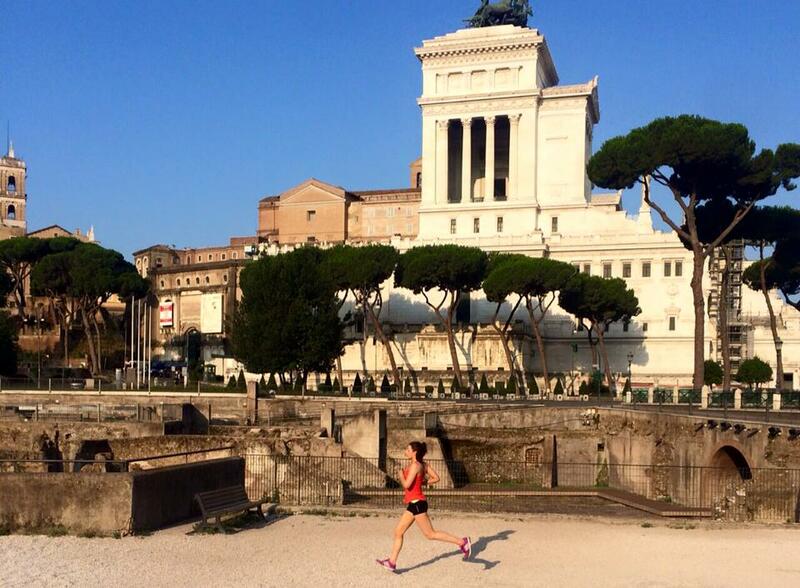 Another amazing way to see the sights of where you’re staying and to explore an area is to get up and run! Run early in the morning before the heat hits and use it as a way to explore the area and see some sights before everyone else is awake. It’s like your own personal private tour and a chance to get up close and personal with the city. Use your surroundings – If there are some steps down to the beach do stair runs up and down them or sprints along the beach. Think of the feeling of jumping into the sea after a hot and sweaty workout! Also, use the sea or a swimming pool if your hotel has one to get some swimming in. It’s a great cross training activity and gives your knees a break from road running or pounding the treadmill. Not to mention it’ll cool you down! Move the furniture- Make space in your hotel room/find the space to do a bodyweight workout. This can be as little as a tabata workout or an hour long strength session if you wanted it to be. Check out Dane’s blog where he’s posted what we did as well as some more challenging hotel workouts. Make sure you look around and see what you can make use of. It might be a step for calf raises or a chair for Bulgarian split squats for example. A good bodyweight workout can go a long way! You can burpee, hip thrust, or squat jump just about anywhere! If you’ve got some bands pack those in your suitcase too to use when you get there. 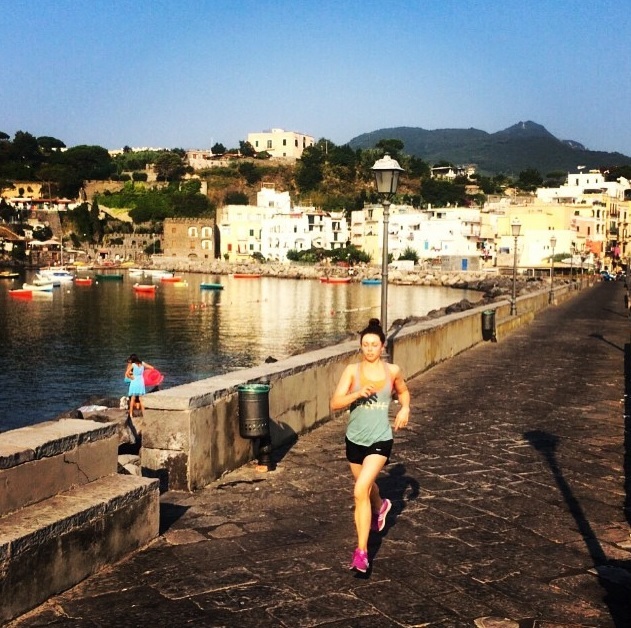 Running past the colosseum, along the Venetian canals and by the harbour in Ischia was amazing and I feel so lucky to say I’ve done that. I’m excited to get stuck in to Berlin training once again now though as well as my new programme for the gym designed by Dane. You can check out my previous programme in an earlier post here. 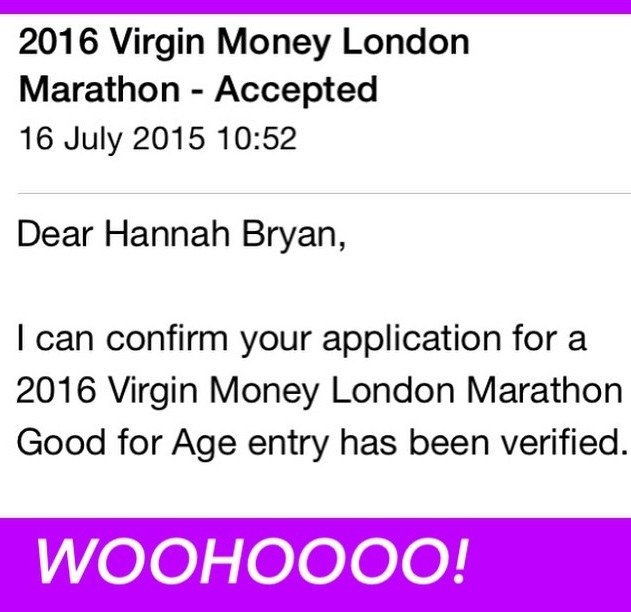 In other marathon news I’ve only gone and got myself a good for age place in next year’s London Marathon! 😀 YES! I’ll be keeping you up to date with how my trainings going over the next 10 weeks as well as posting plenty about Italy and the new recipes I’m going to rustle up inspired by the food I’ve eaten in Italy.